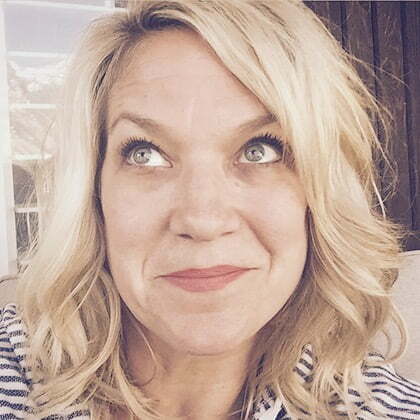 It’s Layle Koncar – think ‘Gayle’, with an ‘L’ – Director of Marketing for Simple Stories/Carpe Diem. I’m so excited to be here with you again this month sharing more Carpe Diem goodness. 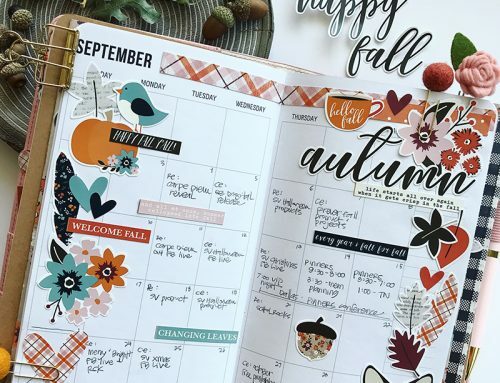 This month I want to introduce you to something different – Traveler’s Notebooks. Are you familiar with them? In a nutshell, it’s a leather or faux leather cover with elastic bands to hold notebooks inside & an elastic band to hold it closed. If you’re new to Traveler’s Notebooks & want to learn a bit more, watch this Intro to Traveler’s Notebooks Facebook Live video I recently recorded! 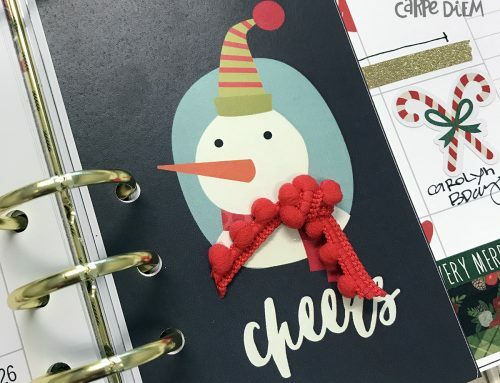 This month I made myself a holiday-themed Traveler’s Notebook (also known as a TN) for December to help keep myself organized during the busy holiday season. 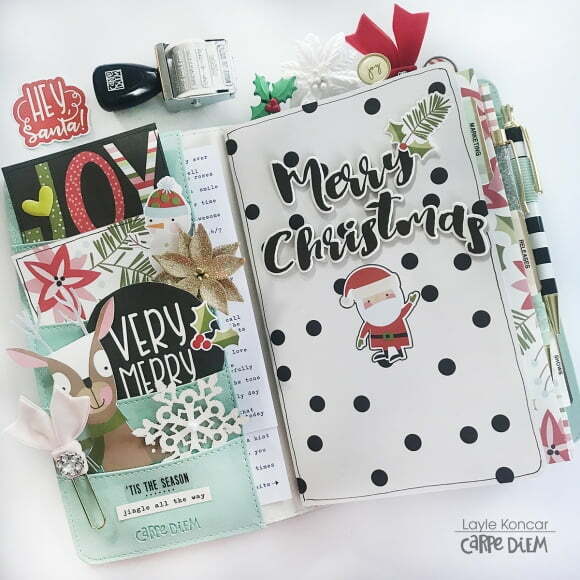 I used the Cream Blossom Traveler’s Notebook and the Oh What Fun Simple Set – oh what a pair! It’s a match made in heaven! Welcome back! Did ya get em? I sure hope so, because I’ve used a number of the free printables in my TN. And when you see how useful & fun they are, you’re going to want to use them too! After decorating the inside pockets – so cute! 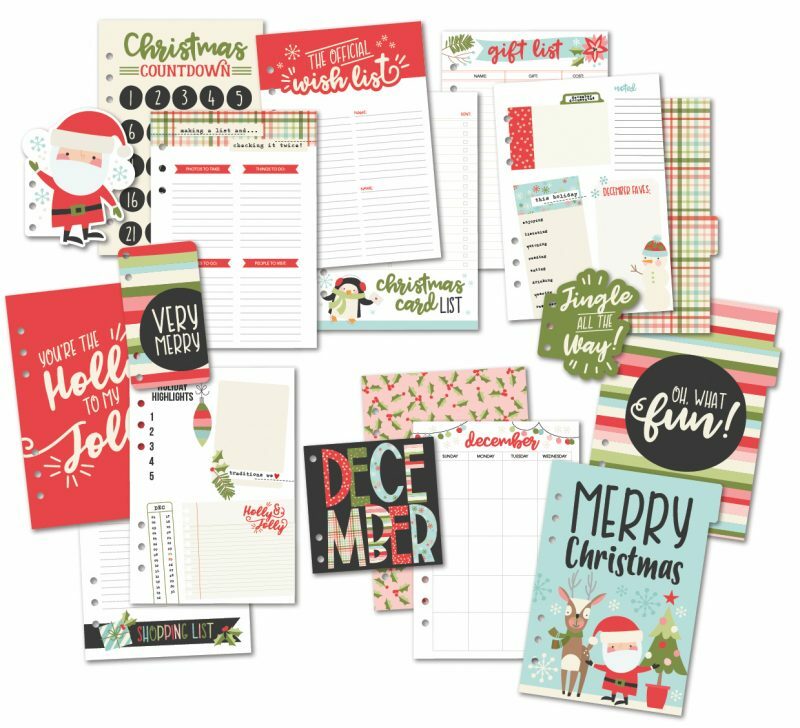 – I created a festive notebook/insert for different holiday lists. I simply created a ‘slipcover’ for my notebook/insert by wrapping a piece of patterned paper around one of our inserts, trimmed & then temporarily adhered with washi tape. HINT: this is a great way to easily customize the look of your TN without ‘committing’ to a design! Creating a ‘slipcover’ lets you easily transition from one look to another by just switching out the slipcovers! 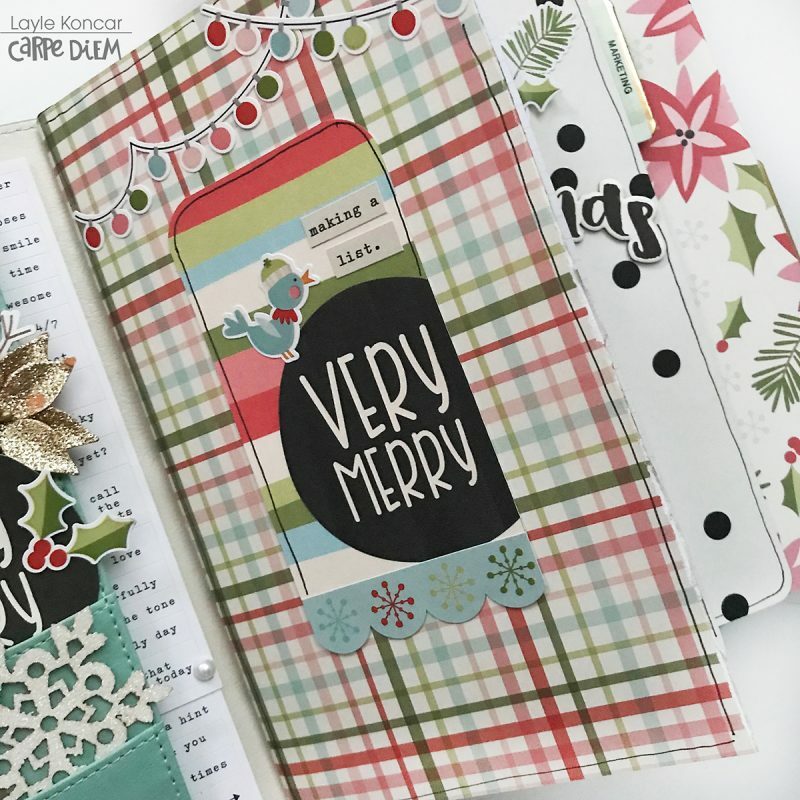 The ‘very merry’ piece is one of the free downloads that I printed & trimmed, then I embellished with Oh What Fun stickers. Here are a few of the lists ‘before the pen’ so you can see how they look. Thank you for sharing. This TN looks so adorable! I really need a TN! 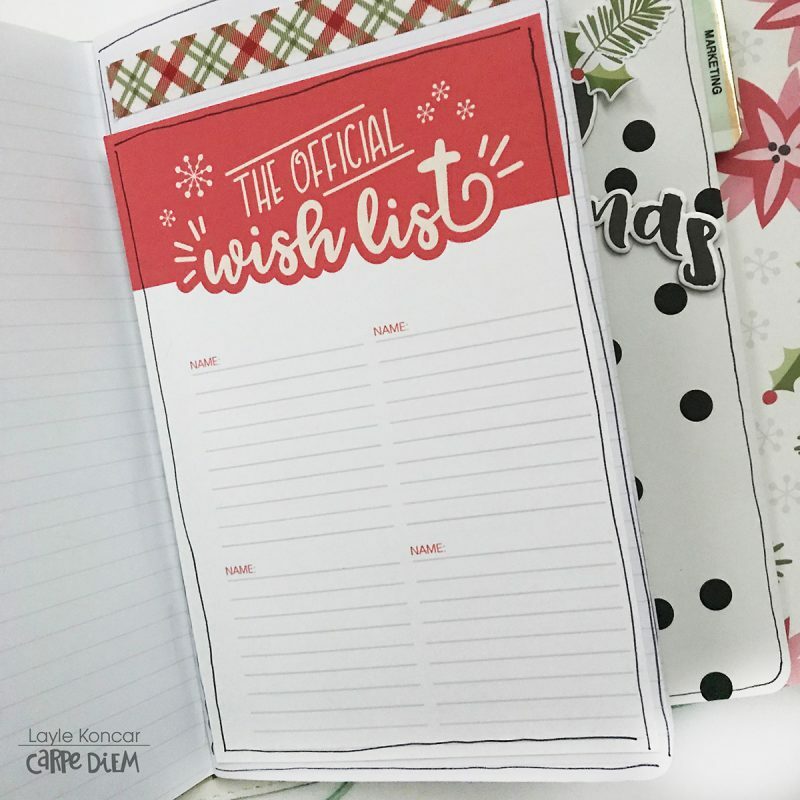 It has been on my wishlist but never seems to get to the very top because so many awesome new products are coming out all the time! Thanks for the free Prindable’s! TFS! Omg! 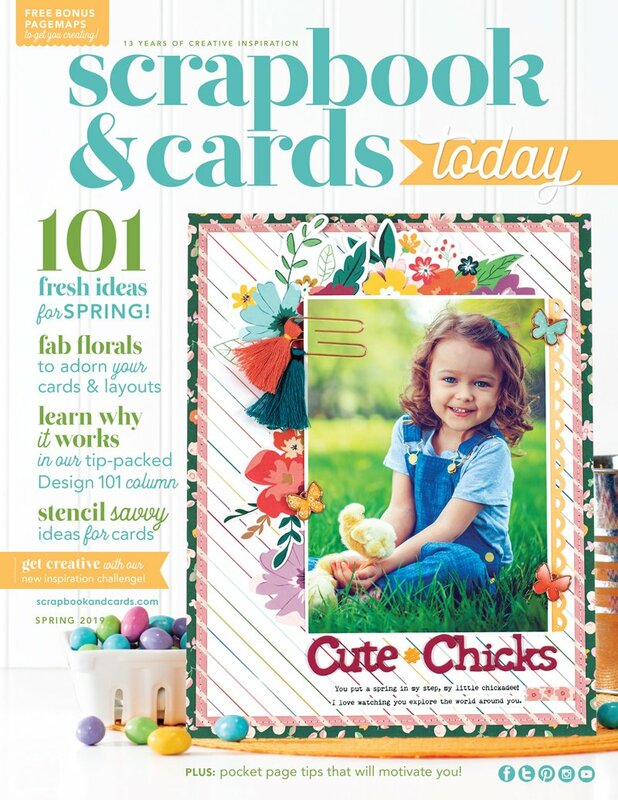 So very cute – going to really check this out in detail! I want to do this. Wish we had more stores here in TBay to but all these goodies! I LOVE your fun little book! 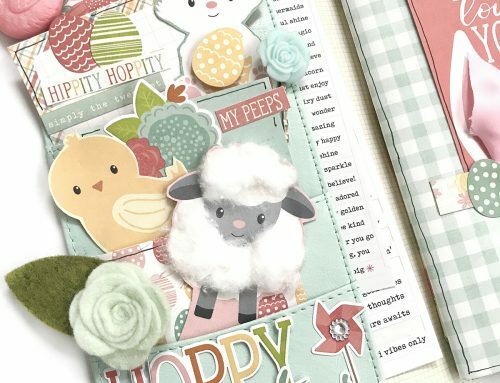 This little notebook is so adorable! 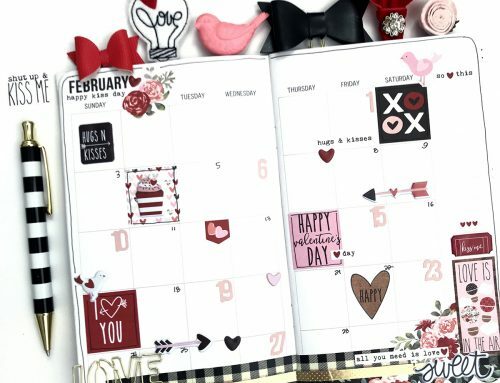 I love the idea of keeping notes of special times in its own little album or notebook. Thank you so much for sharing your fun ideas and the links for the printables. Wow !! That’s so fun and beautiful ! Great job !! see, here’s the thing … if my handwriting was as cool as yours, I’d be writing all over!! even I CAN’T read it! So fun, so cute, so adorable! this is amazing! 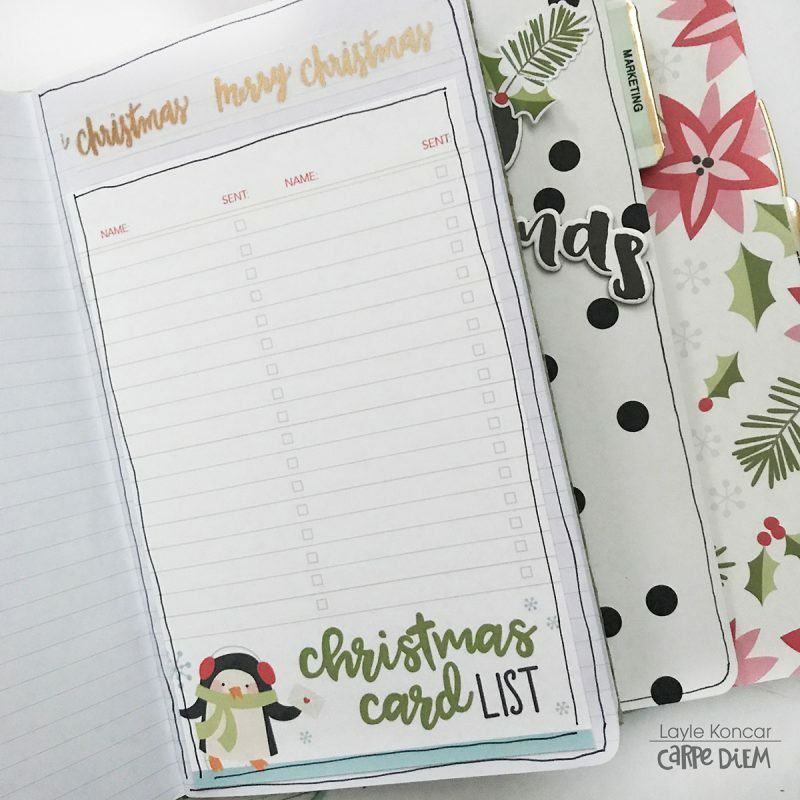 I have yet to do my december daily…the bones are there, the pictures and memories are done – just need to get it all together! lol now I”m inspired to start a christmas TN to start planning for next year!